Learning to ride can be easy for for a lot of people, for some it takes longer. It is ok if you need more time to pass the MSA. We allow for extra practice time at no extra cost to you. We stay with you until you pass. Do you want to learn quickly and pass the first time? Read on and be our star student. Ride a bicycle for a few hours before the course. Don’t own one? rent one for a two to four hours at a cost of $20. There are plenty of bicycle rental companies around town. If you don’t know how to ride a bicycle, learning to ride a motorcycle won’t happen. Riding a bicycle is key. It is still two wheels! Get a good nights sleep and be ready to learn. 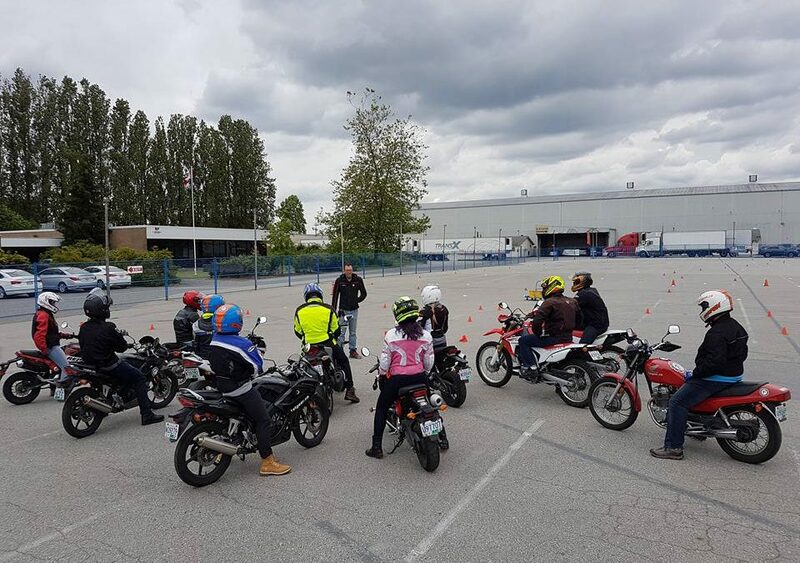 Our motorcycle courses are a lot of information all while riding a motorcycle. You will be mentally and physically challenged for the entire day. Take it seriously. If you can’t leave your phone alone for more than hour, you might miss something important. Riding motorcycles is a dangerous activity. Stay focused to get everything out of it. Wear the right clothing. Please wear jeans and ankle covering shoes. Sweat pants, shorts, sandals, or low top running shoes won’t do. We’ll provide the Helmet, jacket, gloves, and rain gear if we need it. Stay hydrated and don’t eat too much. Eat just enough to stay focused and drink plenty of water. Bring a water bottle. Don’t take it personally. If we see you doing something that is not safe. We will strongly remind you ever time we see it. We don’t hate you, we want you to be safe. Be friendly with all your other students. These could be your future riding buddies! See if everyone wants to start a riding group on facebook or whatsapp. New riders never have enough people to ride with.